The name dip basically explains the process. A base coat is applied and then the nail is dipped into a power that dries almost instantly. This step is repeated several times depending on thickness desired. The nail is then buffed for a smooth shine and finish. This procedure can be done over natural nails or can be done over tips to extend the length of the nail. 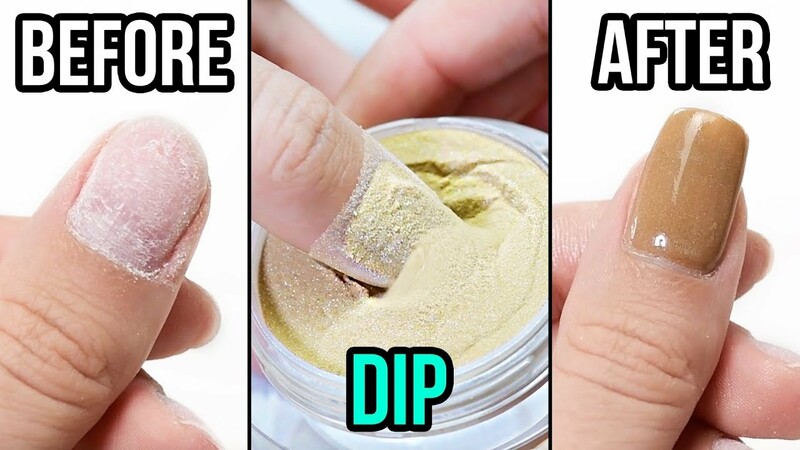 The powders for the dip procedure come in a variety of colors giving the guest plenty of options for a long lasting manicure. Dipped nails will last anywhere from 2-3 weeks. The removal process is similar to that of a gel manicure or acrylic nail removal. How do Dipped Nails compare? The dip system sits between a gel manicure and an acrylic manicure. Dip nails are a little stronger and longer lasting than gel polish however not as strong as acrylics. Therefore they are a great alternative for someone needing something stronger than a gel polish but not quite as strong as an acrylic. The other benefit of dip nails over acrylic is that the dip nails have no odor compared to the strong odor presented by acrylics. The cost falls in between a gel polish and an acrylic application. At Hays Academy the price of a dip application over the natural nails is $20 and with tips is $25. For an additional $5 you can add your favorite gel polish on the top!